I’m returning to Lanie’s Cafe tonight at 7pm. It’s been a long time since I’ve played there and I miss it! Friday night I’m at the patio at Druther’s in Saratoga at 9pm. Saturday night I’m playing Dixieland at an event at the Saratoga Racing Museum with Reggie’s Red Hot Feetwarmers. Good times! 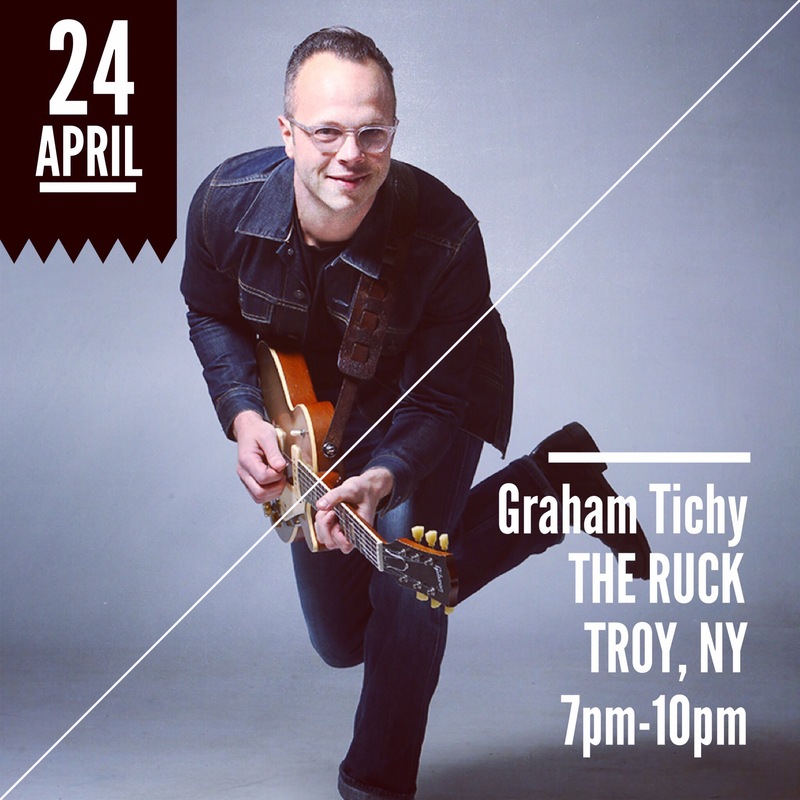 Come to our monthly Troy Night Out at the Ruck show! I’m playing a gala for the Troy Music Hall at the beautiful Franklin Plaza this Thursday. 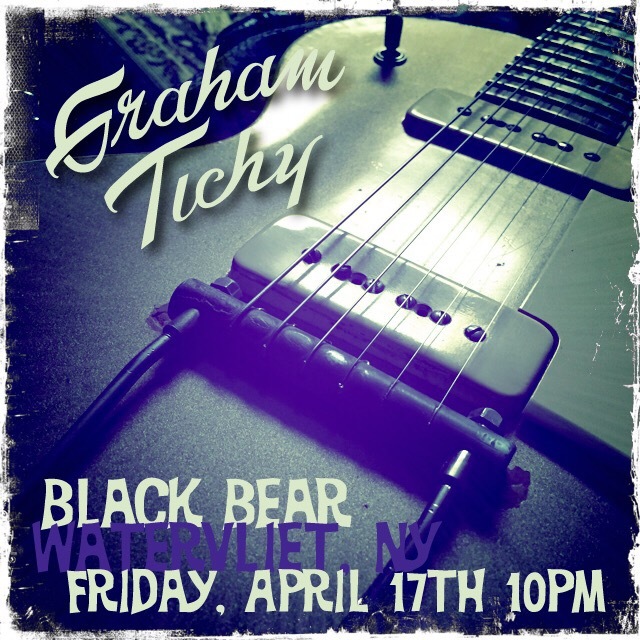 On Friday I’m back at the Black Bear in Watervliet at 10pm! Our Twitter feed is currently unavailable but you can visit our official twitter page @grahamtichy.